A pair of new posters and a new clip have been released for Gurinder Chadha's colonial drama. 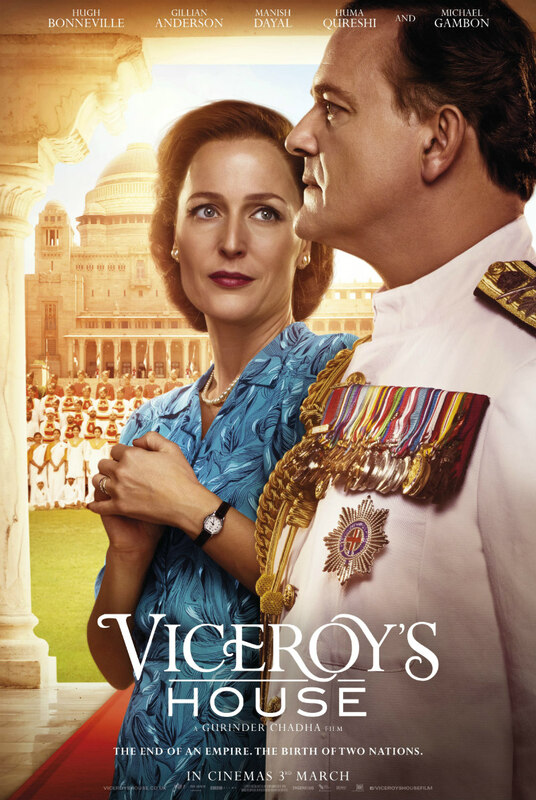 Director Gurinder Chadha's Viceroy's House hits UK/ROI cinemas on March 3rd, and a pair of new posters featuring stars Gillian Anderson, Hugh Bonneville, Manish Dayal and Huma Qureshi have been released. Set during the end of British colonial rule in India, Chadha's movie draws on the experiences of her own family during the era.